I like reading books about war dogs, shipwrecks, and lady aviators. I so wish 'Women's Lit' was marketed differently. 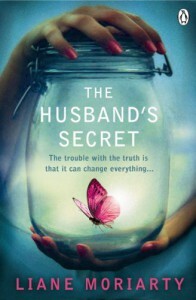 I was kind of embarrassed to be reading a book titled The Husband's Secret with a cover featuring a skinny Stepford wife. Beneath all the packaging was a story I quite liked. It follows three women in Australia, whose lives initially seem separate but become entwined by fate and free will. I tend to enjoy interwoven narratives and character-driven stories. This had both, and I'd definitely recommend it... even if you're a little embarrassed by cliched titles and book covers.